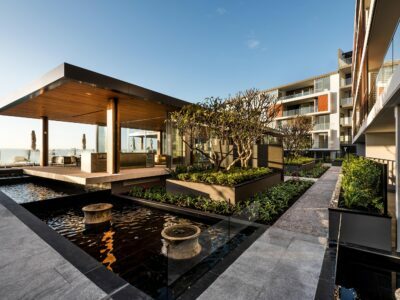 The amenities of a 5-star hotel. 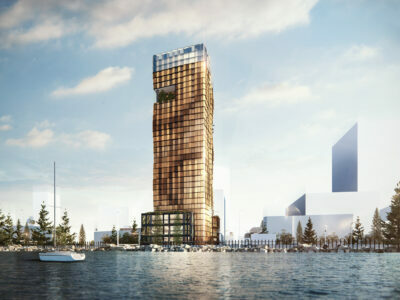 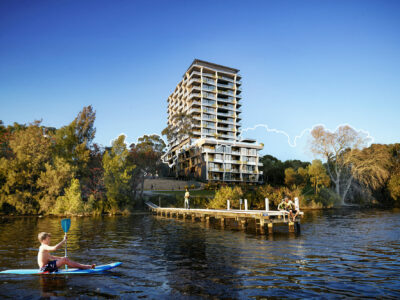 Vantage on the Swan River at Rivervale is a thirteen-storey residential tower. 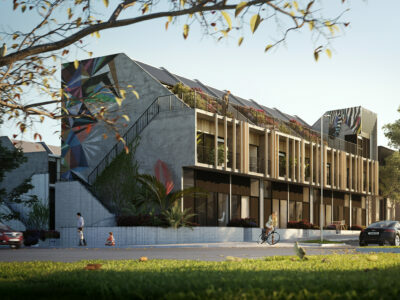 Its striking design features a distinctively-sculptured, multi-faceted façade with spectacularly bold multi-directional angles to make an architectural statement with instant street appeal. 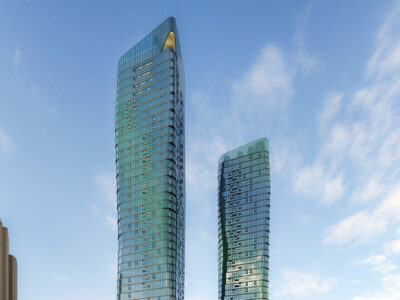 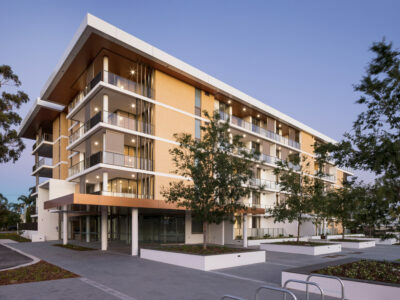 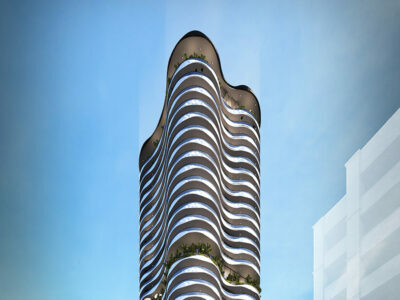 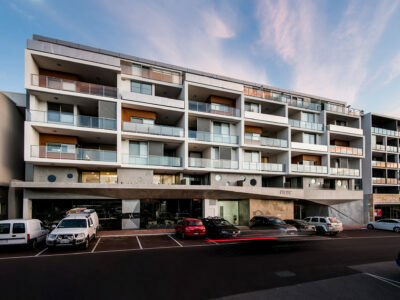 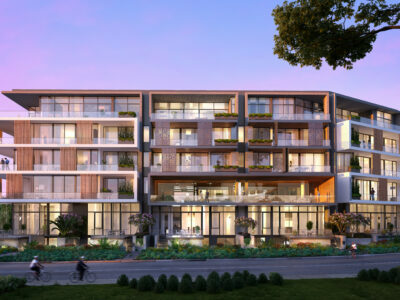 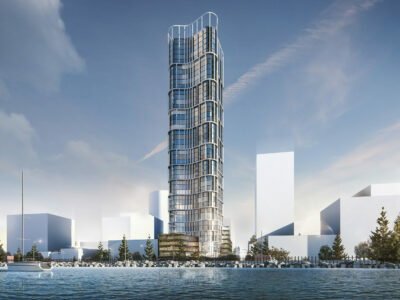 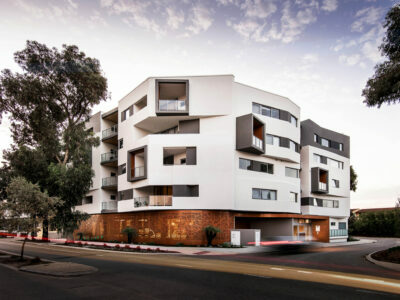 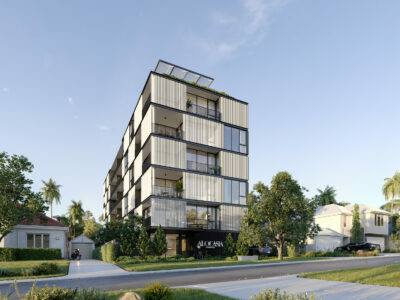 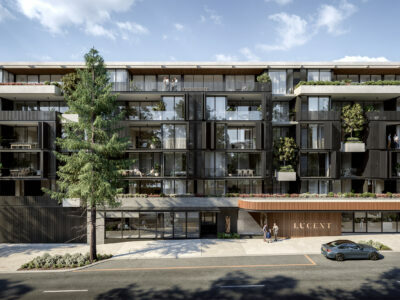 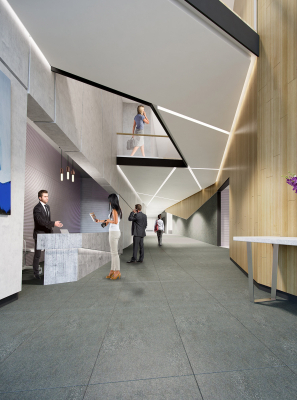 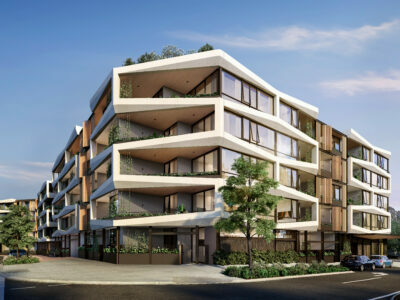 Vantage’s profile is that of a victory podium, with a three storey street frontage that steps up to a ten storey tower and down to four levels of riverfront terraces. 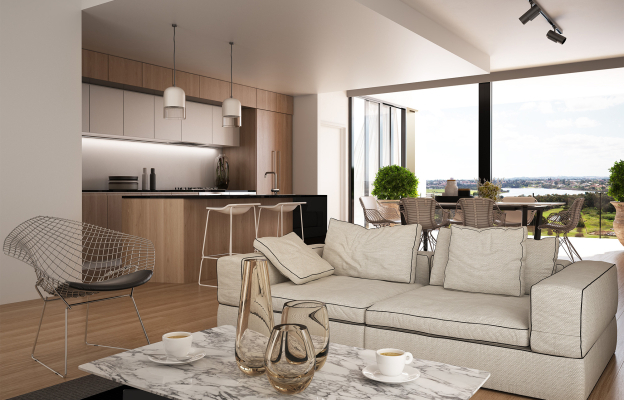 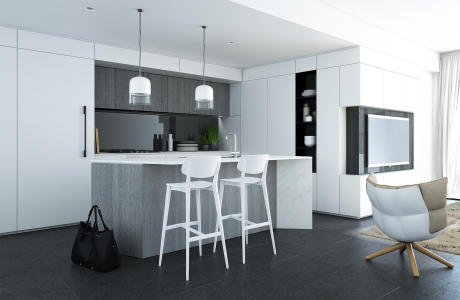 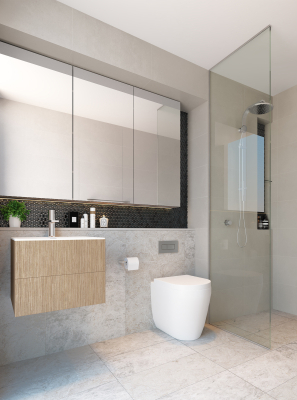 The project offers 216 residences over 17 levels including a wide range of one, two and three bedroom apartments, and a number of luxury penthouses with private rooftop terraces. 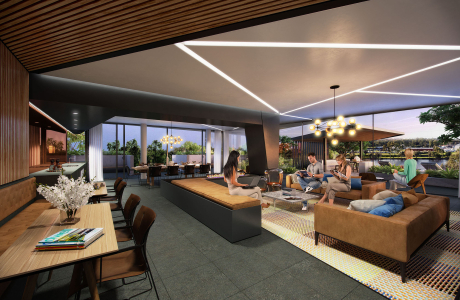 The amenities at Vantage are those of a 5-star hotel. 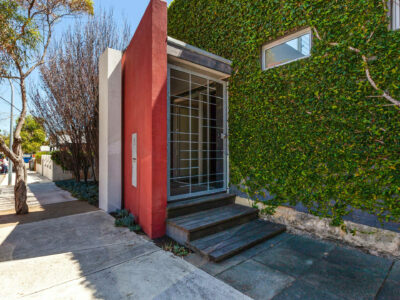 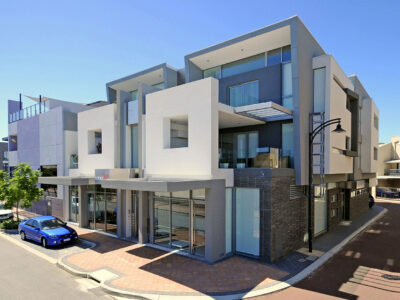 The entrance and lobby are spacious, sophisticated and compliment the exterior’s architecture. 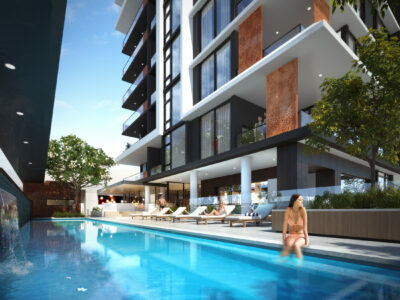 There’s a huge resort-style, infinity-edged pool, a gym, sauna and a street level cafe. 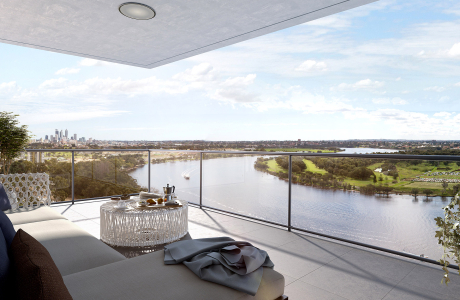 Extensive glazing throughout makes the most of the river and city views. 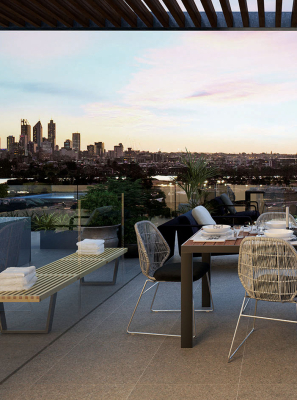 One of the building’s most attractive features is the rooftop terrace with zones for relaxing and entertaining defined by warm timber decking, flexible seating and manicured garden elements. 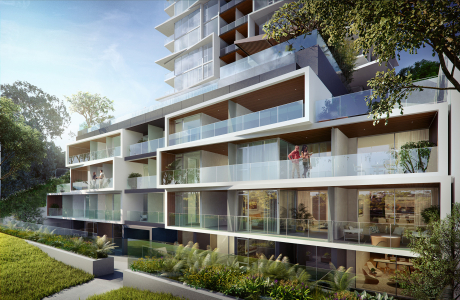 There’s a furnished lounge, a herb garden, a barbecue area and even an outdoor cinema for movies under the stars. 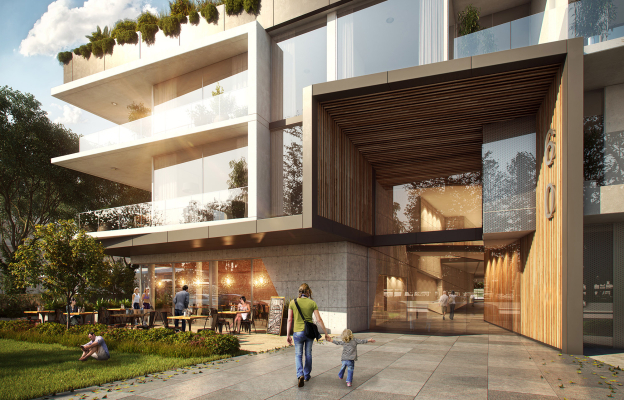 The building’s bold shapes are not just there to create an urban design landmark, they also provide environmental benefits. 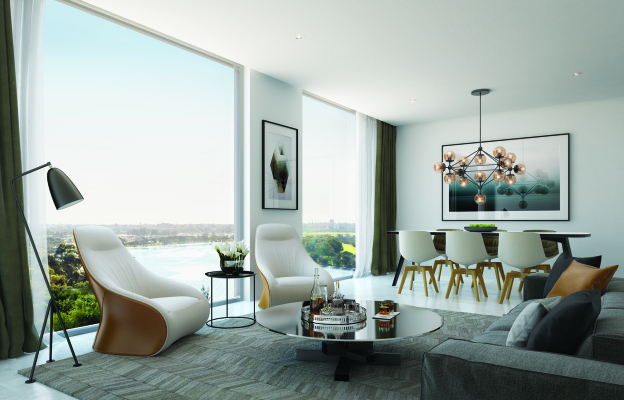 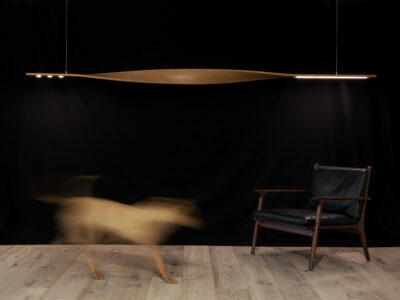 Angles have been carefully calculated to provide shade from the heat of summer yet allow the warm winter sunlight to penetrate.